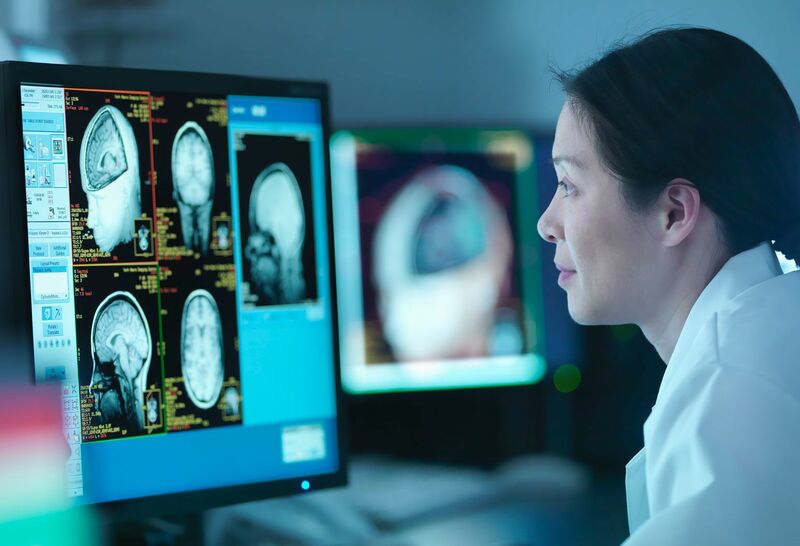 The Rehabilitation Medicine Doctoral Internship Training Program in Psychology at Staten Island University Hospital provides training in clinical psychology with an emphasis on neuropsychology and rehabilitation medicine. The program is designed to enhance a trainee’s general clinical skills and provide specialized training in neuropsychological diagnosis and assessment and rehabilitation/health psychology. We are a member of the Association of Psychology Postdoctoral and Internship Centers and are accredited by the American Psychological Association. The internship program draws from both a Scientist-Practitioner and a Practitioner- Scholar model of clinical training. Foundational knowledge and knowledge of best practices must inform clinical work, which is best gained through apprenticeship. To that end, the program provides 2,000 hours of supervised clinical experience to meets the one year of doctoral supervised clinical training required for licensing as a psychologist in most states. Three doctoral interns will participate in the 12-month full-time training program. Our faculty includes five licensed psychologists and one postdoctoral fellow. The main objective of the Rehabilitation Medicine Doctoral Psychology Internship at Staten Island University Hospital is to provide the opportunity for interns to develop competency in the application of psychological and neuropsychological knowledge to the professional practice of psychology, with specific emphasis placed on clinical problems in a medical center setting. Since the setting for this internship is in the Rehabilitation Medicine Department, emphasis is on work with individuals with a range of physical, cognitive, emotional and behavioral disabilities. Staten Island University Hospital is a 714-bed, specialized teaching hospital located in New York City's fifth and fastest-growing borough. Occupying two large campuses, plus a number of community-based health centers and labs, the hospital provides quality care to the people of Staten Island, the New York metropolitan region, and to patients from around the world. Staten Island University Hospital is part of Northwell Health, which includes 23 hospitals and 550 physician practice locations throughout Long Island, Manhattan, Queens and Staten Island. Proudly serving an area of 8 million people, Northwell delivers world-class services designed for every step of your health and wellness journey. Interns are trained in assessment; consultation; diagnostics; individual, family and group therapy; cognitive remediation; and professional development, with the primary training method being experiential. Training in assessment emphasizes comprehensive evaluation of cognitive functioning of individuals with neurological and developmental disorders while on the outpatient service and brief, targeted, intervention driven evaluations on the inpatient service. Interns learn effective interviewing techniques with a broad range of neurologically impaired patients and become proficient at test selection, administration, and scoring, as well as interpretation of results and oral and written communication of findings. Supervision emphasizes integrated conceptualization of theoretical models of adult and developmental neuropsychology, neuropsychological assessment, behavioral neurology and cognitive neuroscience. The three interns will spend eight months in the outpatient service and alternately rotate for four months (four days per week) to the Acute Inpatient Rehabilitation Unit, while spending one day a week in the outpatient service. This experience will allow interns to participate in multidisciplinary team meetings and follow patients through the continuum of care from the acute inpatient rehabilitation unit to discharge planning and then to outpatient services. Internship: The internship will start on or around July 1, 2019, and end on June 26, 2020. Selection process: By mid-December, the program will contact selected applicants and arrange for interviews in the first two weeks of January. Application and screening: Intern applications are due by December 10, 2018. All applications are reviewed by training staff and applicants are evaluated in terms of fit for our program. Please access the standard APPIC Internship Application (AAPI) from the APPIC website and include a redacted neuropsychological report. Our site code is (2237). Questions can be directed to Dr. Rosemarie Basile, director of Clinical Training, at [email protected]. Interviews: Interview will be held January 4th and January 11th, 2019. We will contact candidates who represent the strongest fit and arrange for in-person interviews no later than December 30, 2018. Stipends: Interns receive a stipend of approximately $29,250 for the one-year internship. Insurance: Interns may elect to participate in the hospital subsidized health and dental plans and are covered by the hospital’s group life insurance plan. Time off: You are eligible for PTO after three months of employment. The 20 days of PTO may be used as vacation pay, personal time, or sick pay. PTO accrues based on regular hours worked. All interns receive 6 hospital holidays; this includes Labor Day, Thanksgiving, Christmas Day, New Years Day, Memorial Day, and Independence Day. Interns attend four to five hours of didactics per week and participate in providing some content (with guidance). Current offerings are listed below and minor changes occur each year. Each intern will be expected to collaborate on a research or quality improvement projects during their training year. Each intern will have a primary training supervisor on the Inpatient unit and in the Outpatient clinic. Based on the learning needs and specialty of staff, interns may change supervisors midyear to enhance their learning. Interns typically receive 3-4 hours of supervision weekly. During this rotation, Interns will evaluate patients admitted with brain injury or other neurologic injury requiring comprehensive multidisciplinary inpatient rehabilitation. Diagnostic exposure will include traumatic brain injury (TBI), stroke, tumors, dementia, and related neurologic disorders with cognitive sequelae. Interns will learn to perform bedside neurobehavioral assessment, including evaluation of neurocognitive abilities as well as personal adjustment and emotional status. Assessment will include clinical interviewing, mood assessment, and measures of coma, orientation, agitated behavior, and neurocognitive abilities including: memory, verbal and nonverbal reasoning, and executive function. Interns will gain experience in test administration, scoring, interpretation, and feedback reporting. Interns will also learn the consultant role played by a rehabilitation neuropsychologist on a multidisciplinary team. They will learn to work in a close, ongoing relationship with physical medicine and rehabilitation physicians, rehabilitation nurses, social workers, case managers, and physical, occupational, recreational, and speech therapists along with other allied health providers. In addition to assessment and consultation, Interns will learn neurocognitive, health/behavioral, and psychotherapy interventions appropriate for neurologically injured patients and their families. As well as individual therapy interventions, Interns will learn to lead group interventions, including structured orientation groups, support groups, psychoeducational groups, and problem-focused groups designed for patients and families beginning the process of neurocognitive rehabilitation. The Outpatient Neuropsychology Service treats the lifespan, from geriatric populations to infants presenting with a broad range of behavioral, developmental, learning and neurocognitive disabilities. Referrals to Outpatient Neuropsychology are received from a variety of sources including the Rehabilitation Medicine Department, Adult and Pediatric Emergency Medicine Trauma Services, Adult Neurology, Developmental Pediatrics, Pediatric Neurology, Psychiatry, Oncology, Neurosurgery, and professionals in the community. Based on one’s training needs and specific interests, an Intern can choose to focus primarily on either adult or pediatric cases. However, working with individuals across the lifespan will be a component of the training. Because of the breadth of our referrals, it is not feasible to develop expertise in all the populations we serve. Thus, cases are clustered so that the intern can develop a thorough understanding of several conditions of interest (eg. Chari malformations, Traumatic Brain Injury, subcortical dementias, Autism etc). This rotation will primarily consist of neuropsychology evaluations. In addition to neuropsychological assessment and report writing, the provision of feedback to physicians, patients and families will be an integral part of the supervised experience. Diagnostic exposure will include patients with traumatic brain injury, tumors, blood-borne cancer, sickle-cell disease, stroke, degenerative diseases, toxic and metabolic conditions, attention deficit/hyperactivity disorder, autism, learning disabilities, various neurologic conditions, chronic pain, psychiatric illness, and somatoform disorders. In addition to the assessment component, this rotation will also allow for training and experience in health and behavior interventions and more general psychotherapy in a time limited, problem focused setting. Interns may follow a given patient during the patient’s inpatient and outpatient course in order to view progress over several months. This provides continuity of care for the patient as well as the opportunity to achieve longer term treatment and psychotherapy goals and better understand the evolving nature of the neurological insult.